Telltale Games has released the “Stats” trailer for The Walking Dead Episode 5 – No Time Left, revealing exactly how the decisions you made in the final episode stack up against the choices made by your fellow players. It goes without saying that the trailer below, along with any discussion after this point, will be filled with spoilers. If you have not yet played all five episodes of Telltale’s The Walking Dead (And for Pete’s sake, you need to hop on that quick like a bunny. The game almost won our Game of the Year awards, it’s beyond fantastic!) it would be best to knock them out and then check out the trailer. With that out of the way, I was really surprised how many of my decisions in episode 5 lined up with the majority. Most of the choices that players picked seemed like the only reasonable way to go. I mean who in their right mind would pick Kenny to take care of Clem? That guy’s decision making skills were questionable before his wife and kid died. Afterwards? Forget about it. The one decision that surprised me the most was the amount of people who choose to cut off Lee’s arm. That’s the way that I went (I figured it would not make much of a difference in the end, but maybe it would buy me a few extra minutes to find Clem), however, at the time I was not expecting that to turn out to be the overwhelming majority decision. Check out the stats trailer for The Walking Dead Episode 5 – No Time Left below, and let us know in the comments how your playthough differed from the majority. 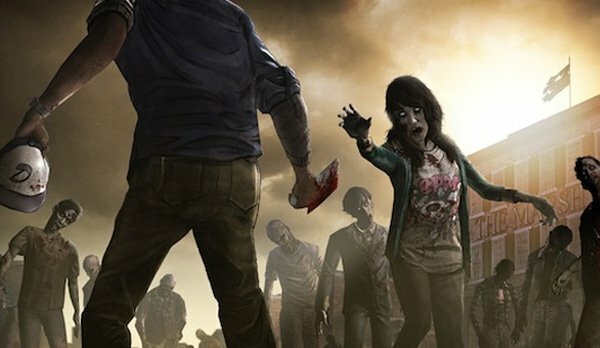 We are still waiting to hear some official word on when Telltale plans to start up the second season of The Walking Dead, once they make the announcement we will be sure to let you know.